SPORAH TV: PAYING NO ATTENTION TO HATERS, URBAN PULSE REACHING FOR THE SKIES TO BECOME MEDIA GIANTS. 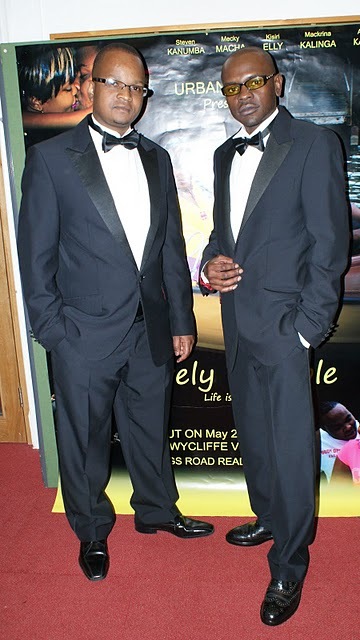 Frank Eyembe and Baraka Nyama. iMag: So What is Urban Pulse? UP: Urban Pulse consists of young creative people who are highly dedicated to bringing to the world all forms of new an exciting entertainment, information and inspiration through different media outlets. iMag: When and how did Urban Pulse start and why the name ''Urban Pulse'' is it related to the industry you're in or is it to attract a particular audience? UP: Basically the concept is about there being something new in town or to the world if you like. Our aim is to target all kind of audiences from young, old, male, female, black, white, gay, straight and the list goes on by providing different genres of programme. We aim to entertain, educate, inform and motivate. iMag: That sounds exciting, and how is Urban Pulse fulfilling these aims? UP: We have a music artist who is of UK Origin, a female MC [Fyah Sista] representing to the fullest. Her music is pure fire and talks about the real life experience of being black. We also produced a programme for sustainable energy from Ashden Awards which is run by Sainsbury and the Patron being the Prince of Wales. The programme is about promoting entrepreneurs across the globe to use alternative source of energy like Solar panel, water and use of bio gas mainly to the third world countries and to promote less use of CO2. We are also currently in the last stages of producing a documentary for The Tanzania Embassy which is education programme which starts from its history in conjunction with this year 50th year independence anniversary. iMag: Who are the founders? Frank and Baraka on Point. iMag: Tell us about your backgrounds briefly. Has it influenced the start of Urban Pulse and your passion for Media? UP: My dad is a media man so I grew up watching him doing his thing and somehow got myself in it. I also did a diploma for media studies even though I dropped out few month to go,(Frank). Baraka holds a degree in Photography and Film Production and he has got load experience and passion in this industry. iMag: What role does Mr Eyembe and what role does Mr Baraka play in Urban Pulse?Mr Eyembe is the CEO and Mr Nyama is the Managing Director. 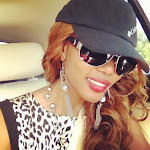 iMag: Have there been any challenges/still are; in running Urban Pulse? UP: Challenges will always be there, no matter how much you try, they are there to help Us get focused. Our job is to rise above them, learn from them and move on. UP: Well, at the moment we are expanding rapidly and hopefully we will be selling shares but don't worry you will be the 1st to know. Will give you a good deal. iMag: You 'not too long ago' added a third member to the Urban Pulse family,Mr Nocha Sebe, what led to this decision and what role did he take on? UP: Both myself and Baraka are more like driving force in terms of production and technical execution. We needed another person with the business mind to take UP to the next level. We went through couple of list of people who we thought will be good for the job but unfortunately not all of them ticked all the boxes. While we were in the dilemma Nocha came to light, we had a long chat with him about the job and we both felt that he was the right person for the job and rest is now history. He is our Operation Manager and now he is officially in Tanzania in talks with other big companies about different deals. Baraka Nyama on the left, Tanzania's Foreign Affairs Minister and International Co-operation Mr Bernard Membe in the middle and Nocha, at the Tanzania Diaspora 111.
iMag Any particular major projects you have done this year? 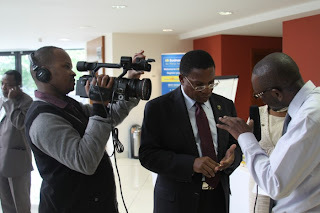 UP: Like a mentioned earlier we got a Documentary which will be coming out soon for the Tanzania embassy. Also we had released Miss The fyah sis (our artist) her 1st mix tape and album will be coming out soon. We produced DIASPORA III, we produced fashion show for Vodka and fashion TV UK and for the first Time we got a special interview with our prime Minister 1hr and 30 mins long which will be aired in our national TV soon. Frank Eyembe and Baraka Nyama Interviewing Tanzania's Foreign Affairs Minister and International Co-operation Mr Bernard Membe at the Tanzania Diaspora 111.
iMag: With the music creative side of Urban Pulse, whose the 'main man' operating that side? iMag: I am proud of how Urban Pulse inspires younger people to use art to express themselves, especially in music; how's that going? Is the inspiration towards both ways still strong or has it been a challenge working with so many expressive young minds? UP:Most Def young people have got minds of their own and sometimes they let their adrenalin rush over powering their mind and end up making wrong decision based on their feeling and not from the fact. Apart from that, it’s all fun and doesn't feel like work coz it’s about the passion. iMag: What music genre do Urban Pulse's artists create? iMag: Has any of your artists released their music yet? iMag: Such a massive talent from such a young man, and has been known to also be the creative mind in producing Urban Pulse music, how is that going? Any new music out from our genius young man? iMag: Lovely Gamble! Tell Us more about the film. From the idea,script to the final project. Was it a success? what challenges did you face? any regrets? what have you taken/learnt from this project as your first film project? What we have learnt is that when you take on a certain project it’s better to be careful who to choose and always go with a small and effective team which will be a result. Also nothing is possible under the sun if you put your mind and effort to it, and even if it fails at least you had balls to do it. 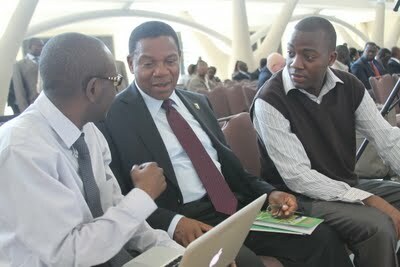 iMag: How was it working with new talents and Steven Kanumba (Tanzanian Actor/Producer)? UP: it was such a honor working with all of them it was more like a huge family reunion and we all enjoyed each other company and share experience across the ball. Everyone was nice to each other and remained commitment until the end. I Miss that moment and I will do it again given the opportunity. iMag: Urban Pulse is also known for giving back to the community. Tell us more about the charities you have been involved with? UP: We did raised some money to help build an orphanage play ground in Tanzania, also UK cancer research, Fight for malaria and recently people who where affected by a bomb blast in Gongo la mboto in Tanzania. We are planning to do more this year. iMag: What are the best moments in running a Media creative business? What do you hope to achieve? UP: We hope to be recognised internationally and make impact in people's lives. iMag: What are the challenges in running a Media creative business? UP: Money which is the main, lack of resources, bad publicity, jealousy, lack of support..
iMag: What's a Media Creative's must have;any special characteristics or can anyone do it? 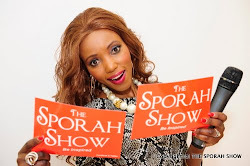 Sporah: What's next for Urban Pulse,what can we look forward to?any upcoming film and music projects? 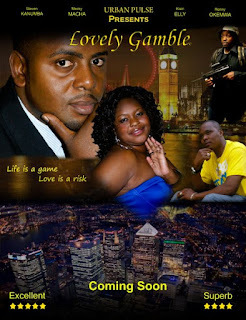 If any, who are you thinking of working with next, leading from Kanumba and the introduced talents in Lovely Gamble? UP: I would like to keep it under wraps for now but stay tune for more and exciting programmes from UP. iMag: Any Advice to anyone who has a dream of starting a Media creative business? UP: Follow your heart and don't pay attention to mediocre minds or people who don't support your dreams. iMag: Thank you for spending time with Us; Keep up the good work,please come again and God Bless. UP: Thanks for having us Sporah and may God Bless you too. 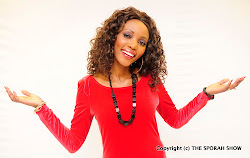 Interview by Lynn Kapinga for iMagazine / The Sporah Show.